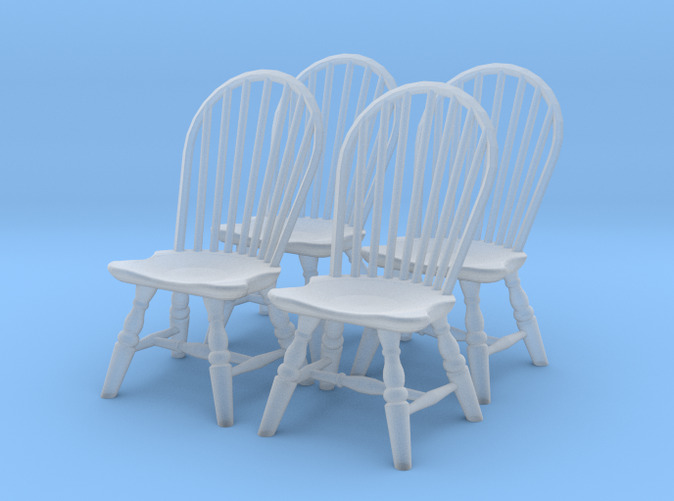 This set includes 4 hoop back Windsor chairs. 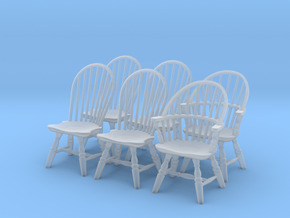 Windsor chairs have solid, shaped seats and a back composed of delicate spindles. 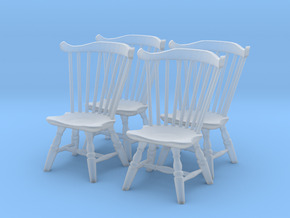 The style originated in the 18th century, and coordinates well with the other styles of the period. We recommend pairing our Windsor chairs with our Colonial style tables. 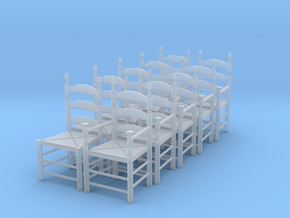 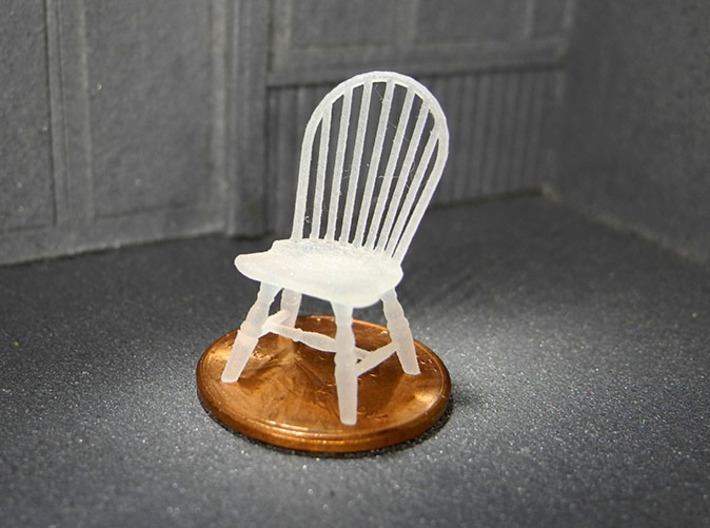 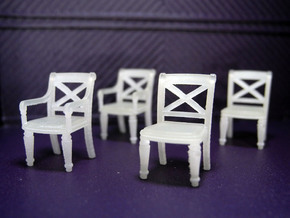 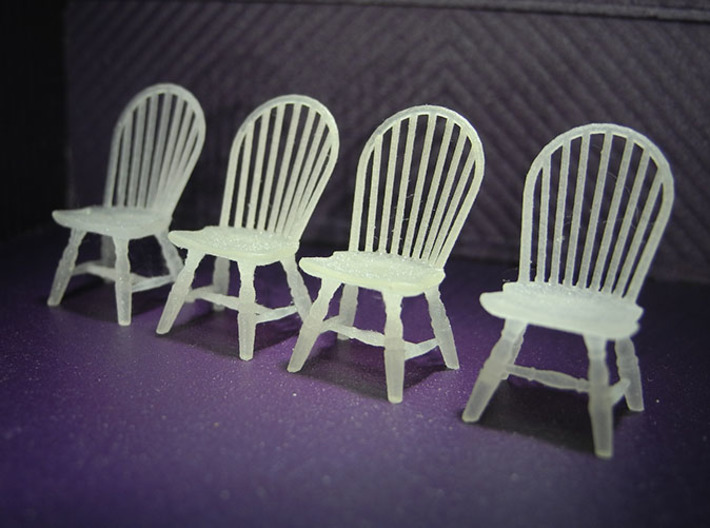 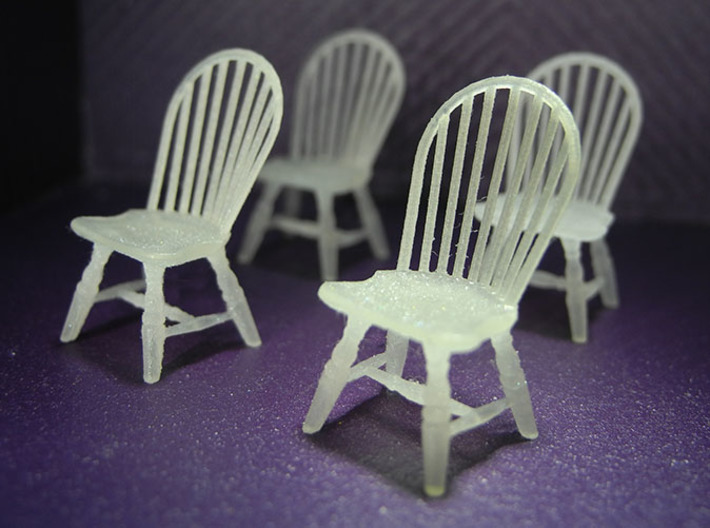 Chair Dimensions: 12.4mm x 14.2mm x 21.4mm -or-0.49" x 0.56" x 0.84"
This piece can also be purchased as part of set.